As a parent, it’s always a distressing time when your child is sick or hurt. This is especially true when an affliction strikes out of nowhere, as was the case with Kylie and Tony Cravens’ daughter, Lydia. 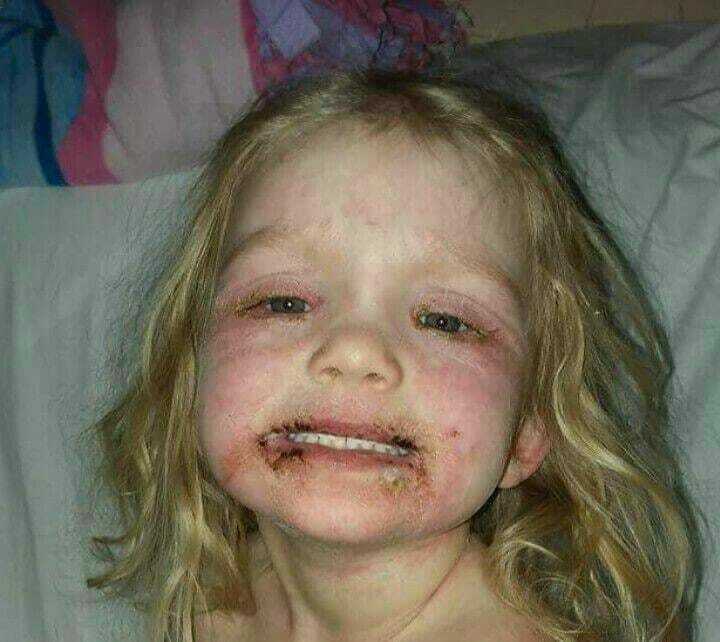 The 3-year-old’s health took a downward spiral after she suffered a terrible allergic reaction to a child’s makeup kit they’d purchased for her. 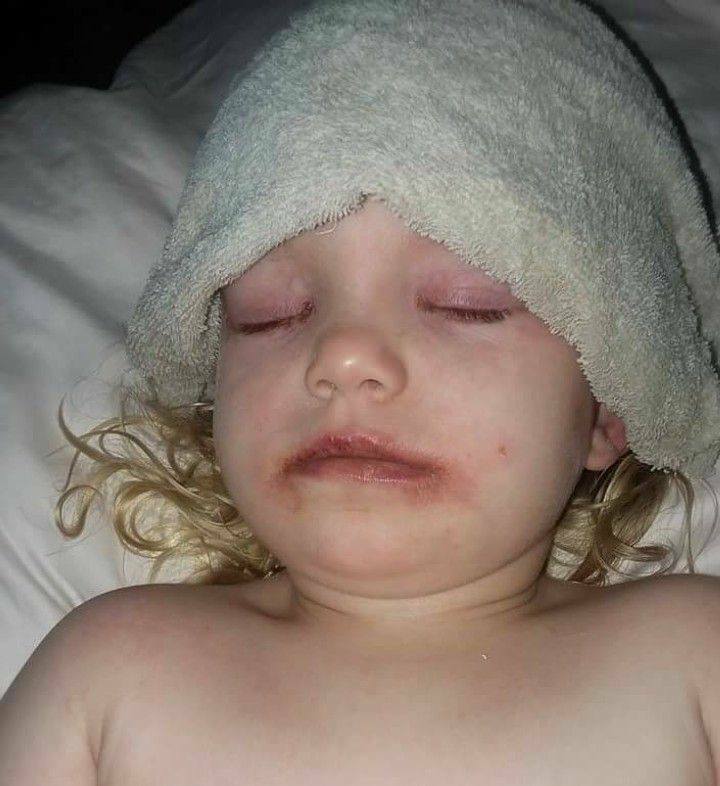 The couple, of Georgetown, Illinois, now want to spread a grave warning to all others, with their poor baby having experienced swollen eyes, blisters and a rash that spread over her body. Kyle and Tony forwarded the warning to Love What Matters, describing just why parents should be cautious when it comes to what they allow their children to play with. 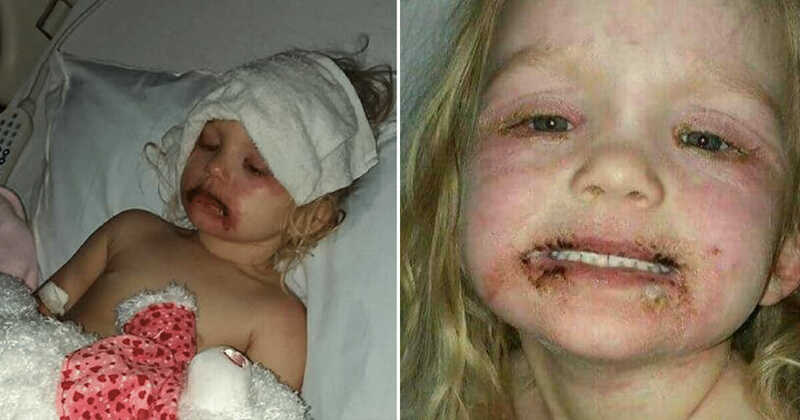 She gave her 3-year-old daughter a child’s cosmetic kit, but after having applied the makeup to her face the girl’s skin reacted in a most disturbing way. She wrote on Facebook: “I’m making this post because I feel like it is very important to remind parents to be very careful about what we allow our children to have. For Tony and I this was definitely an eye-opener, and we will be more cautious about acknowledging ingredients and educating ourselves on what is good and bad before purchasing from here on out. A rash erupted all over Lydia’s body, whilst her lips cracked and became sore. After taking the girl to hospital, Kylie was told she would have to stay there to be monitored. The three-year-old couldn’t eat for several days and had to be treated for more than a week while she recovered. According to Kylie’s Facebook post, the children’s beauty set that she purchased contained six chemicals that are known to cause allergic reactions to people with sensitive skin. 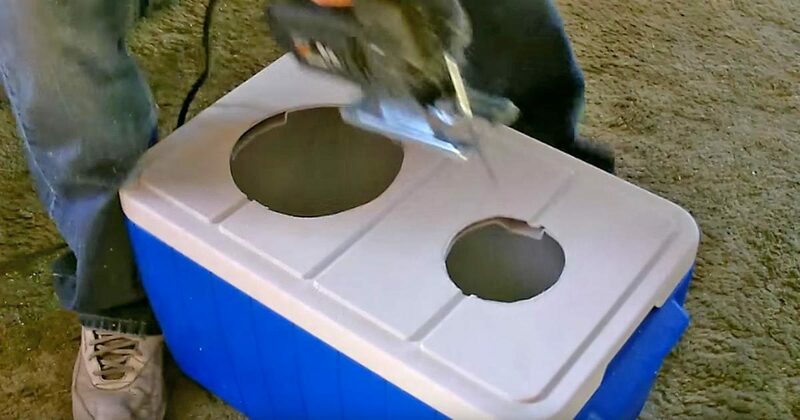 “There are six different chemicals in this makeup that are commonly known to cause an allergic reaction. 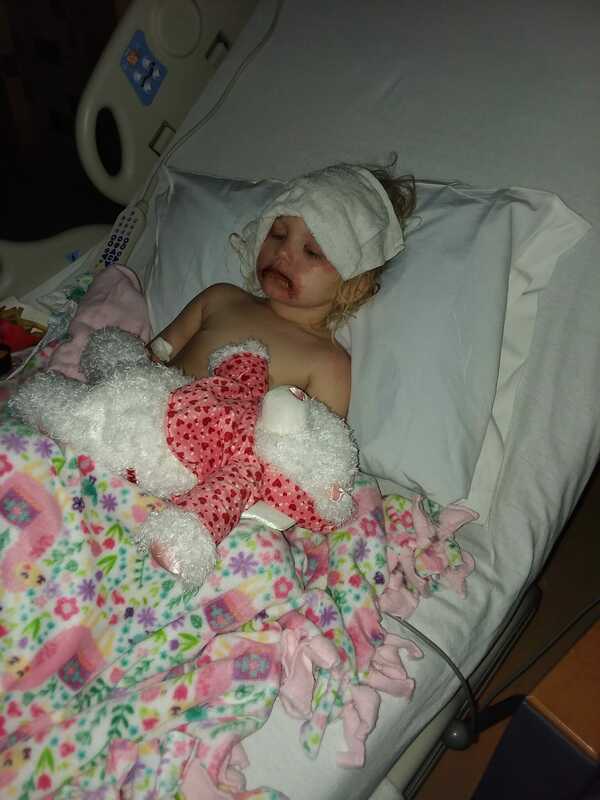 Lydia unfortunately was one of those people allergic, and for the past week, she has been going through a severe allergic reaction SO SEVERE she had to be admitted to Carle pediatrics in Champaign. Kylie is aiming to send a warning to all parents who buy such products for their children. She can’t bear the thought of something, “like what has happened to our Lydia,” happening to others. Parents, please be careful when it comes to what you’re letting your children have/play with. Help us spread Kylie and Tony’s warning around by sharing this article on Facebook!